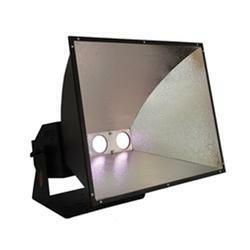 Our product range includes a wide range of 150w led cyc wash light, halogen cyclorama light and led halogen cyclorama light. Allows perfect control of color temperature and light output level. The high quality of light gives Perfect color homogeneity on the output window. The brightness can be controlled by DMX512 signal and manual control, adjustable range is 0~100%. 7 DMX channels, 30 preset color selection with 16.6 million color combinations. High CRI LED, flicker free light emitting components, meeting the professional photography and video requirements. The power consumption can be saved 70% of energy compared with the traditional halogen tungsten cyclorama lights. 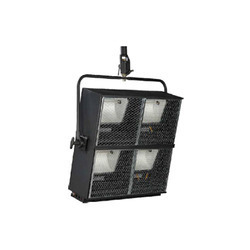 Backed by a diligent team of professionals, we have been able to offer a wide range of LED Halogen Cyclorama Light. The offered cyclorama light is designed by our professionals as per the set quality norms by utilizing the finest quality material and advanced technology.